chalky-type paint very inexpensively to transform them. gave me (for free!) a metal tray that she no longer wanted. price ($4), I decided to give it a try. mason jars to have more uses than just for canning. is for a yet-to-be-named baby due in about ten days! way. I even had some left over even with doing five items. paint to cover up whatever was originally underneath. chalkboards, a kind of linen-looking texture emerged. have made it smoother in case you want to do that. of a piece of chalk on the painted board coating it well. board lightly showing up in the background forever. 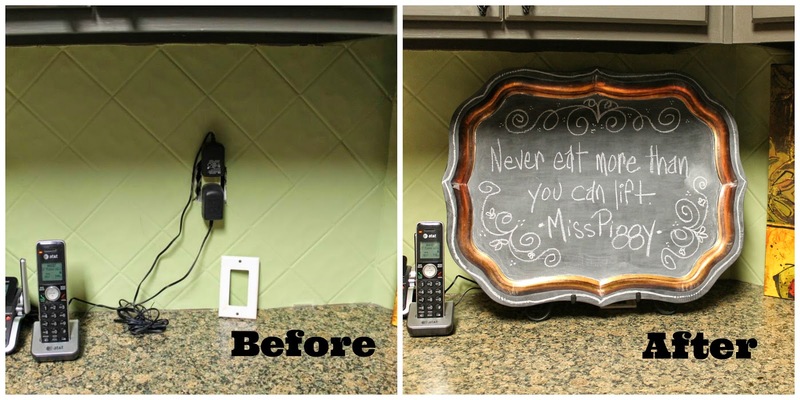 Then wipe the "seasoned" chalkboard with a soft dry cloth. board to write things like the baby's birth weight, etc. to use in photos of the baby. turned-chalkboard now covers up the ugly plugs, etc. seasons and moods to add pizzaz to the kitchen. It is held up by a picture easel. are different (but I don't pretend to know exactly how). not as durable or high quality (but it IS cheaper). main ingredient in the wall texture was calcium carbonate. Click here if you want to see the recipe for that paint. chalk-type paint instead of getting another box of wall texture. I'm not 100% sure this is official Plaster of Paris but it is cheap, easy to obtain and it works. This container of plaster was only $3 (HL) and will help make lots of batches of chalk-type paint. mixed with the plaster to make the chalky paint. This picture is of the bottom of the paint bottles so you can see the colors I used better. You can even mix the colors together to get the color of chalky paint that you want. going to use a "recipe" that calls for even a cup of paint. get the paint as thick or thin as you want it. makes the paint finish more durable and adds depth. with a fairly stiff paint brush or you can rub it on with a rag. hours. Then buff the wax with a clean dry white cloth. I was lazy and did not want to sand the frames. and made the surface smooth by eliminating plaster flecks. write away with your chalk. that also have chalk-type paint finishes right now. silver and now the distressed chalky finish. They are subject to change. changing out what is displayed on the wire seasonally. then they emerge more beautiful and powerful than before. Perhaps the most recognized symbol for Easter is the lamb. known as "The Good Shepherd" and we are his sheep. The Shepherd lays down His life for the sheep. Also lambs are born in the Spring around Easter time. way to put seasonal words to live by in clear view. I hope that you have a blessed Easter week! Gayle, What a wonderful post. 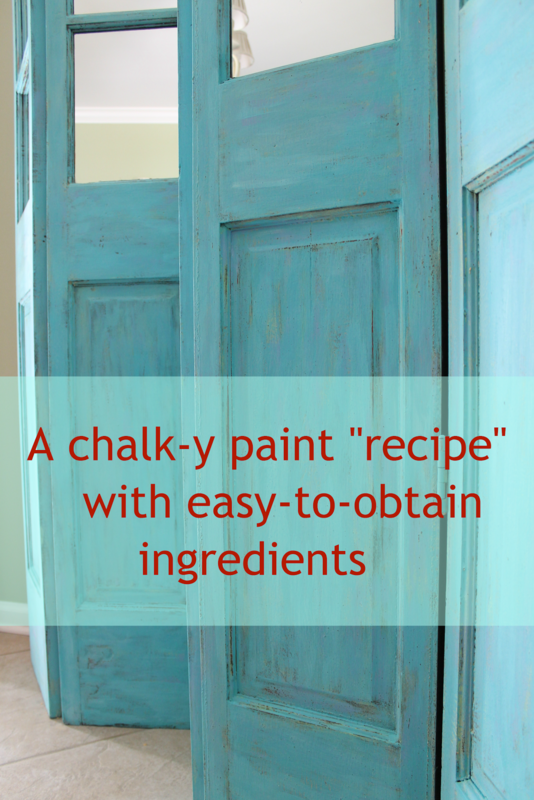 I have not attempted to make my own chalk paint yet but I know that several people use it very successfully. Love your chalk boards and frames. They all look great. You are so clever. 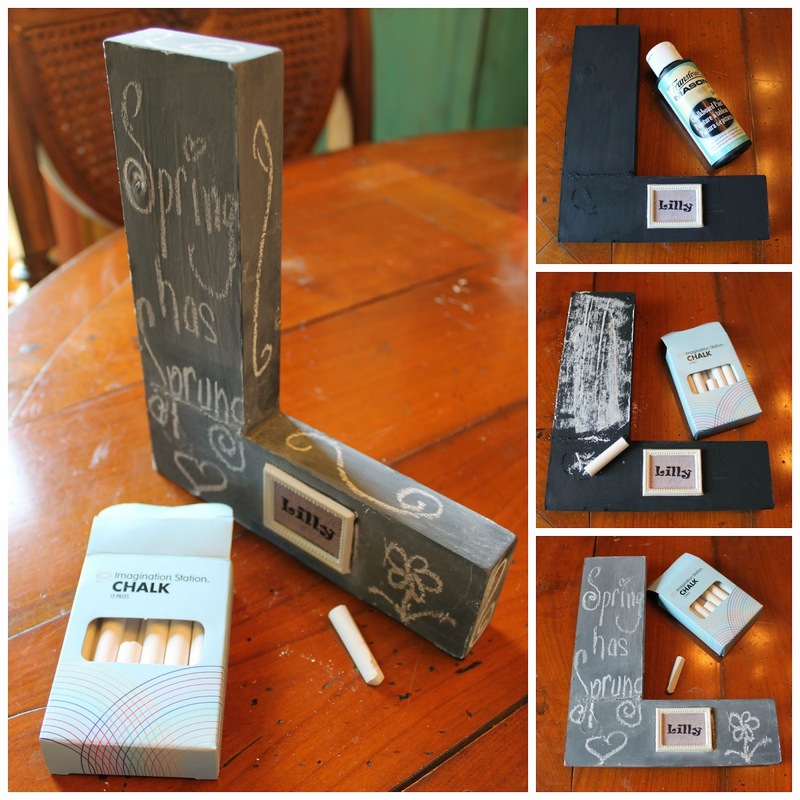 I have never made my own chalk paint but it sure looks simple enough. 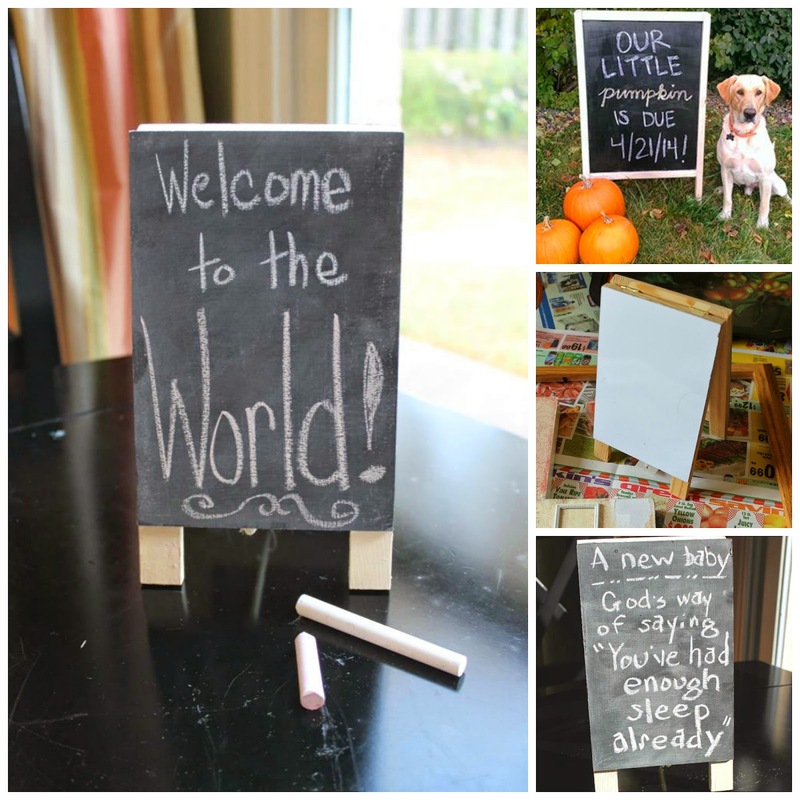 Your chalk boards and vignettes are fantastic! Hi I am visiting from the Nifty Thrifty Tuesday party and I love your chalkboard pieces. Especially those gorgeous chicken wire butterfly frames - gorgeous! You have been added to my Must Follow List. Happy Easter! Thank you, Miss Kitty! 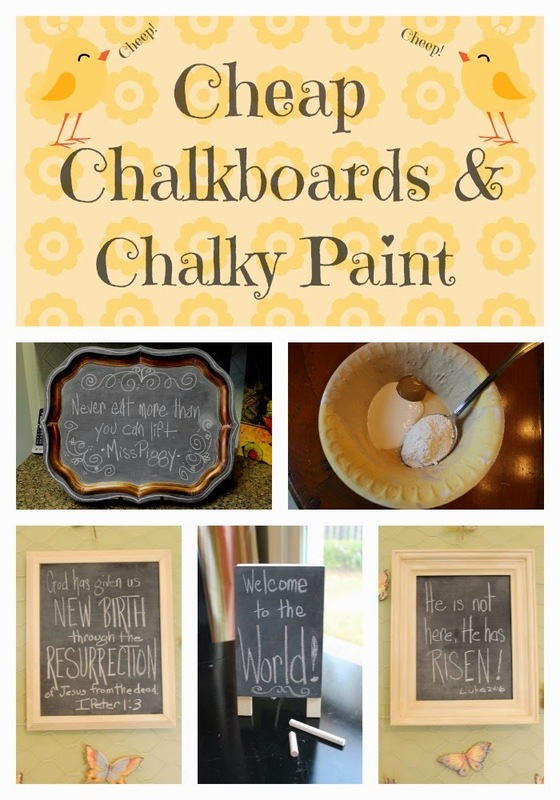 I was wondering why chalk wouldn't show up on the chalkboard I purchased from Hobby Lobby. Then, I read your advice about "seasoning" the board. It works now!